Easy entry and exit design features 4 position adjustable roller pad, angled lumbar pad, and dual position foot rest for proper alignment and support during exercise. 4 position adjustable roller pad and angled lumbar pad for proper alignment and support. 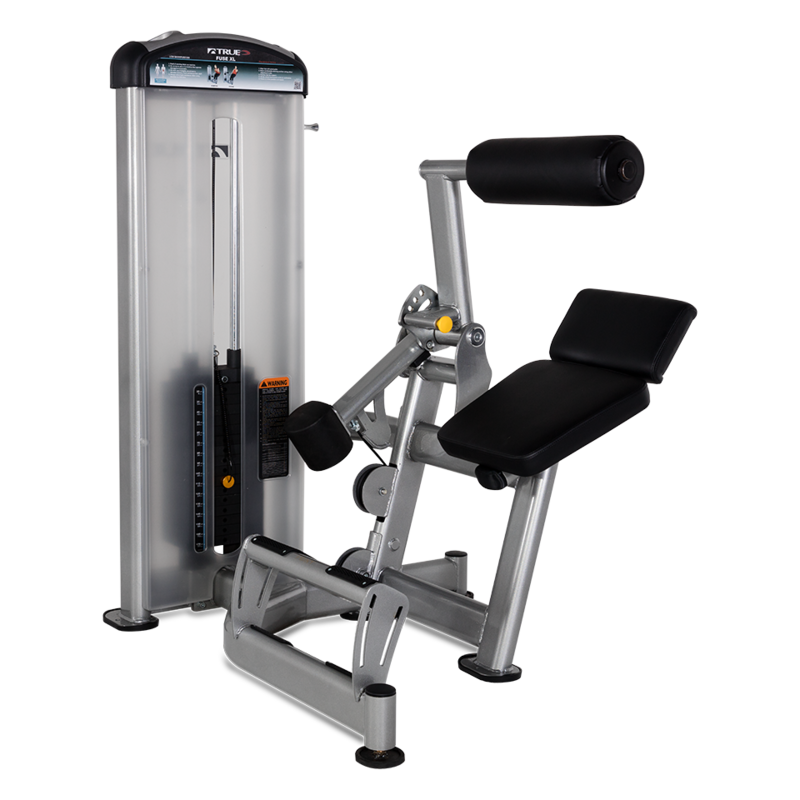 Dual position foot rests provide torso stabilization for wide range of users. Low seat frame and open design for ease of entry and exit of machine.